Food experiences are the norm now and it’s pretty likely you’ll spend at least a bit of your time in Italy focused on food activities, whether you consider yourself a foodie or not. Bologna is one of the best destinations in Italy for food these days, because it is simply overflowing with culture and culinary appeal. We’re going to share with your our six favorite foodie things to do in Bologna in this post. While it’s tempting to stick with typical mass-marketed destinations, especially in Italy, alternative destinations, like Bologna, sometimes have more to offer travelers who are looking for unique food experiences. If you’re looking to plan a Eurotrip with a little food inspiration in your itinerary, you’ve come to the right place for a little inspiration. One of the most fascinating aspects of Italy is its Denominazione di Origine Protetta, or DOP, products like Parmigiano-Reggiano. If you want to eat your weight in cheese, sign up for a gourmet tour with Italian Days. The tour includes a visit to a Parmigiano-Reggiano factory to see the cheese being produced as well as a family-owned acetaia where Traditional Balsamic Vinegar of Modena is made. You’ll also tour a factory that produces DOP Prosciutto. You’ll sample as much as you can possibly eat along the way. Bologna has a variety of cooking classes for eager visitors who hope to learn a few cooking skills while in the city. What better souvenir to give yourself than the ability to make true Italian pasta when you return home? Classes, like the one given by the Culinary Institute of Bologna, are taught by English-speaking professional chefs in one-hour, half-day, or full-day sessions in a professional kitchen. There are many food markets and outdoor street food in Bologna, such as the Mercato di Mezzo, with stalls full of seasonal produce and local products that you can taste right from the vendor. Sample freshly made pasta, taste some burrata, pick up picnic items, or just walk around and enjoy the sights and smells. The markets of Bologna are like a string of endless food paradise destinations. Emilia Romagna has many wine varietals, though casual wine drinkers probably haven’t heard much about them. While the slightly fizzy and sweet red wine, Lambrusco, is produced here, other varietals like Sangiovese and Barbera have a place in the region too. 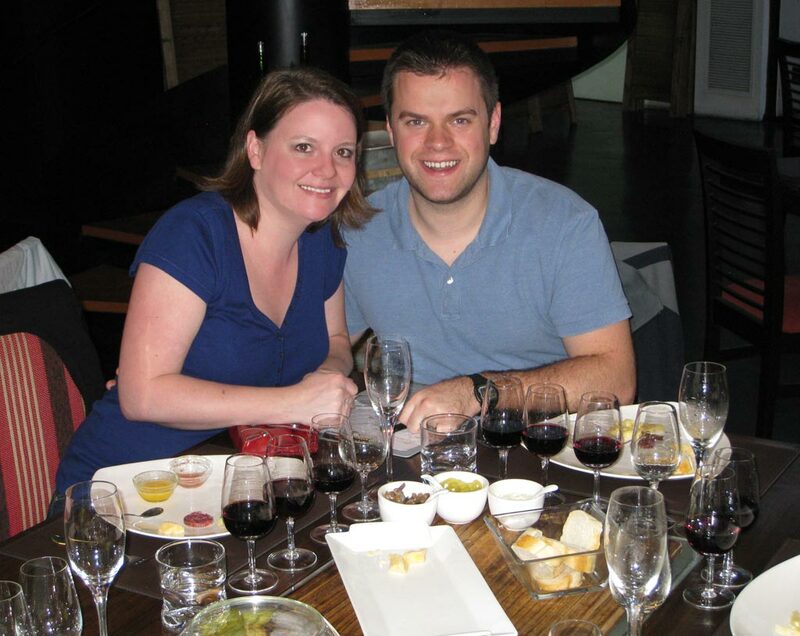 Wine tours often include two to three winery stops, plus a multi-course, wine-paired lunch. Be sure to check out the Romagna Wine Region, Tuscany’s northern cousin. It is well-known that Italy is a major player in the Michelin-star restaurant arena, with over 300 venues holding one, two, or three stars. There are plenty of options for fine dining in Bologna. The highly praised Osteria Francescana is nearby in Modena. Make your reservations early! Aperitivos are an afternoon Italian tradition. Beginning at 6 p.m., restaurants and bars open to patrons who come for a drink and a snack. When you order a drink (usually Prosecco or Lambrusco), you can freely partake of the bar snacks, ranging from slices of pizza, meats, and cheese to a full buffet that sometimes leads to skipping dinner. Find other fun activities to do in Bologna on GetYourGuide.com. Like it? Pin it on your Pinterest board for later! Things to do for foodies in Bologna, Italy – Visit a Parmigiano-Reggiano Factory! This entry was posted in Food and tagged Bologna, Italy. We didn’t get to visit Bologna during our trip to Italy unfortuntely, but we did have to chance to go out for several aperitivos :).